Team Europe wins 13-8 in Chicago. Alexander Zverev battled back from a set down to defeat Wimbledon finalist Kevin Anderson 6-7(3), 7-5, 10-7 and hand Team Europe an unassailable 13-8 lead in the 2018 Laver Cup. “A few points here or there could have changed the whole thing … but we defended the title. That’s the most important,” Zverev said. The 21-year-old German’s win came with one singles rubber to spare at the United Center in Chicago and sees Europe hold onto the title they won at the inaugural edition of the tournament in Prague last year. Earlier on Sunday, Team World took the lead for the first time thanks to a 4-6, 7-6(2), 11-9 doubles win for John Isner and Jack Sock over Roger Federer and Alexander Zverev. The US-Americans had to save two match points. Team Europe, however, fought back with Roger Federer battling past John Isner 6-7(7), 7-6(8), 10-7 followed by Zverev’s triumph. A total of 93,584 tennis fans turned out to watch the second edition of the Laver Cup, making it one of the largest single sporting events to be held at the United Center in Chicago. “The Laver Cup is a unique opportunity for Chicago to share our city with tennis greats and fans from across the country and around the world,” Mayor Rahm Emanuel said. Laver Cup Managing Director Steve Zacks was also thrilled with the success of the event. 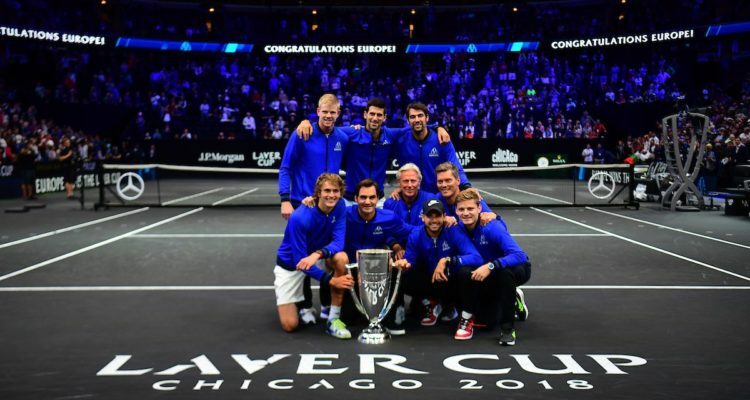 “We have been blown away by the standard of tennis, the passion of the players and the dedication of the fans over this Laver Cup weekend in Chicago,” Zacks said. “This is the first time tennis at this level has been staged in this city for 27 years and the fans have absolutely loved it. More than 93,000 attended over the weekend, making the Laver Cup one of the largest single sporting events to be held at the famous United Center.